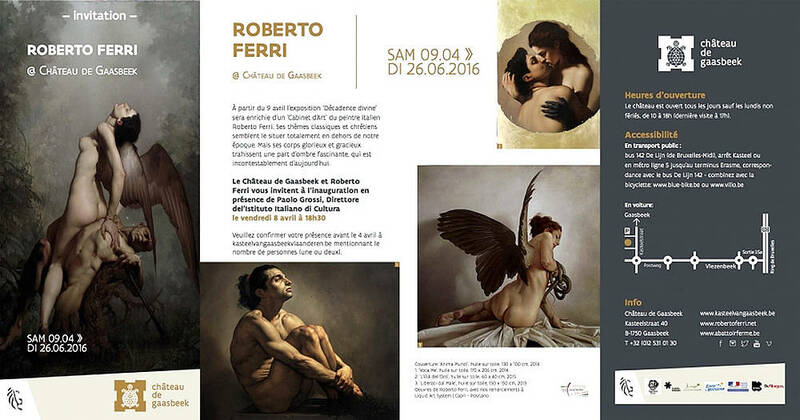 On 9 April, a major 'Art Room' will open with the works of the Italian painter Roberto Ferri. He reaches back, both in style and technique, to the major Baroque masters and uses classical themes and Christian stories that seem to place him outside our own time. But his glorious and graceful bodies betray a fascinating darker side. Claws, horns and fins make them mutate into something monstrous.